Short-term pain for long-term gain. When applied to the reform of global fisheries, this strategy could yield enormous benefits. For many countries—especially those in the developing tropics where fishery reform is needed most—the required costly short-run reductions in fish catch would be difficult to implement because of dependency on fisheries for food and livelihoods. There is another way, according to UC Santa Barbara researchers and colleagues. In a paper published in Nature Ecology and Evolution, they demonstrate that for countries where illegal, unreported and unregulated (IUU) fishing is prevalent, addressing such activity could kick-start fishery recovery without reducing local fishing effort, catch and profit. Indonesia has proved this to be true, and this new work is the first to show that the country's policies are effective. "Indonesia's anti-IUU fishing policies draw a lot of media attention and speculation about their effect, but no one has demonstrated or evaluated the efficacy of the policies," said lead author Reniel Cabral, a postdoctoral scholar at UCSB's Bren School of Environmental Science & Management. "Indonesia did a fantastic job of controlling illegal fishing in their waters. But for them to continually capture benefits from their anti-IUU fishing policies, they need to ensure that domestic fishing efforts are also well-managed." Historically, Indonesia has experienced high levels of IUU fishing from foreign fleets. In late 2014, seeking to curtail those activities, the country implemented tough and controversial policies that resulted in the sinking of 318 illegal fishing boats (296 foreign-flagged), the banning of all foreign-owned and foreign-made boats from fishing in Indonesia and the restriction of transfers of fish at sea. As a result, foreign fishing in the country dropped by more than 90 percent and total fishing dropped by 25 percent. "Indonesia's tough stance on illegal fishing not only jump-started recovery in their waters but also provided a viable example for countries all over the world that are plagued by overfishing driven by illegal behavior," said co-author and Bren School professor Christopher Costello. Using skipjack tuna as a model case study, the authors showed that curtailing IUU fishing combined with capping harvest at its maximum sustainable level could by 2035 generate a 14 percent increase in catch and a 15 percent increase in profit compared to current levels. The benefits of this management scenario become even clearer when compared to business as usual, which is projected to reduce catch and profit by 59 percent and 64 percent, respectively, over the same time frame. The researchers used cutting-edge technologies to achieve an unprecedented view of IUU fishing. 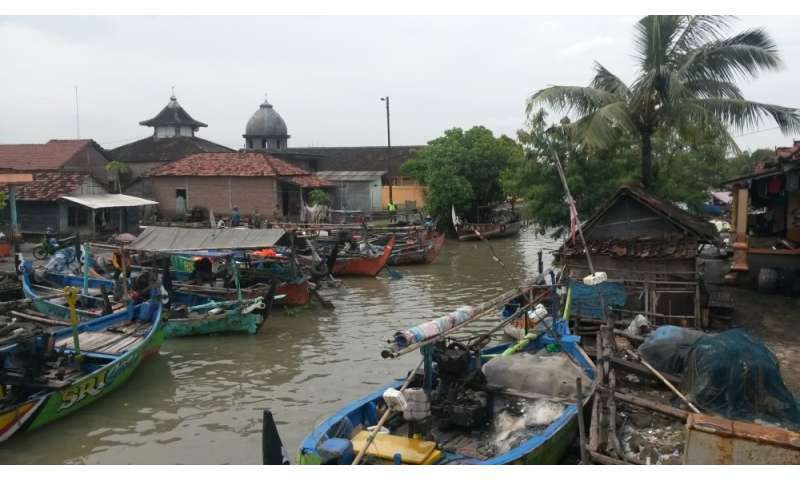 They analyzed publicly accessible automatic identification system data processed through Global Fishing Watch, vessel monitoring system data provided by the Indonesian government and nightlight satellite images to provide a complete picture of the impact of Indonesia's policies. These technologies tracked the behavior of individual fishing vessels globally and in near real-time. "Satellite technologies are starting to revolutionize fisheries research and management in many ways," said co-author Juan Mayorga, a marine data scientist with UCSB's Sustainable Fisheries Group and the National Geographic Society's Pristine Seas project. "A promising application is the evaluation of fisheries and conservation policies such as fishing moratoria or marine reserves. We can now directly assess—like in the case of Indonesia's IUU policies—whether policies are achieving their intended effect, as well as observe any resulting changes in fishing behavior." The investigators' efforts also resulted in a database and a visualization of the global network of transnational fisheries, which summarizes the extent of fishing in foreign exclusive economic zones. According to Mayorga, this makes basic but important information—on who fishes where and how much—easily accessible. As examples, he cites data showing that China fishes in more than 70 distinct countries and that Mauritania's waters are being fished by 25 different nations. "Increased transparency, along with effective regulation and enforcement, can lead to better outcomes for fish stocks and local livelihoods," said David Kroodsma, Global Fishing Watch's director of research and development. This work also revealed hotspots of foreign fishing activity in western Africa and the central Pacific, regions where more than 30 percent of fish catch is illegally obtained and where addressing illegal fishing could see benefits similar to Indonesia's. In addition, the analysis demonstrated that in Gambia—a country that experienced high levels of illegal fishing from foreign fleets—a policy that banned all forms of industrial fishing in 2015 is working and has the potential to help local fisheries. "With the rapid expansion of distant-water fishing, satellite technologies will provide tools for countries to monitor their waters," Cabral said. "Solving IUU fishing globally will be sufficient to catalyze fishery recovery in many regions of the world or at least narrow the gap to global fishery recovery." The ONLY long term solution is to enforce a world wide birth stoppage or birth control and limit women to 3 children per family, since the world's population is now over 8,844,128,002 and will likely be 9 billion by 2020. At this rate there will be no fish in the ocean by 2050, if we don't have nuclear war before then, or deflect Apophis. We continue to pollute the oceans with fertilizers and plastic. But keep doing your studies, I'm sure that'll fix everything.